Dr. Preston Pulliams has served institutions as College President, his most recent tenure as District President at Portland Community College (PCC) in Oregon. 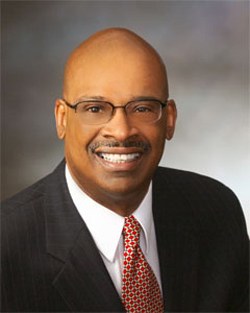 Dr. Pulliams was PCC’s fifth president from 2004-2013. Prior to his presidency at Portland Community College, he served as vice-chancellor for Community Colleges for the State University of New York (SUNY), where he coordinated and directed the activities of the 30 community colleges in the SUNY system.Dr. Pulliams is a community college graduate, earning his A.S. in Science from Muskegon Community College. He received a B.S. in Social Science from Michigan State University, and M.A. from Western Michigan University and an Ed.D from the University of Michigan.Dr. Preston Pulliams has been a recognized leader in community college administration for more than 25 years. Dr. Pulliams has come to Gold Hill Associates having served administrative roles within the community college system across the U.S. Dr. Pulliams purchased Gold Hill Associates from Dr. Barringer in 2011. Dr. Stephen Kinslow works with Gold Hill Associates as a search consultant, bringing a prosperous career experience and knowledge base to the search firm. Dr. Kinslow reputation for increasing student population enrollment, specifically minority populations, has been historic during his tenure with Austin Community College.Dr. Kinslow retired after 34 years of serving Austin Community College. 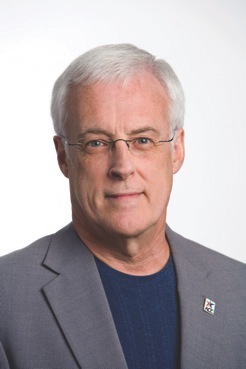 Kinslow filled the role of President and CEO for 6 years, previously working as interim chief, assistant dean and in other administrative roles. Dr. Kinslow currently serves on the board of directors for the Austin and Round Rock Chambers of Commerce, the Texas Association of Community Colleges board of directors, and several other Public policy committees. Dr. Stephen Kinslow received his bachelor degree from the University of Texas at Arlington, a Master’s degree from Southern Methodist University and holds a doctorate from the University of Texas. Gold Hill Associates is pleased to have Dr. Kinslow as a search consultant. Dr. Walter Nolte, the newest member of the Gold Hill team, is the recently retired president of Casper College, Wyoming and the former president of North Central Missouri College, Missouri. 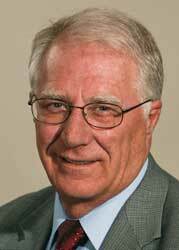 Dr. Nolte has served as a member of the AACC Board and the AACC Presidents Academy Executive Committee. Dr. Nolte led Casper College to an all-time enrollment high, coordinated an ambitious campus master plan resulting in six major building projects, and assisted in doubling the assets of the Casper College Foundation. Dr. Nolte received an A.A. from Tacoma Community College, a B.A and M.A. from the University of Puget Sound, and a Ph.D. from the University of Texas at Austin. Dr. Katherine Hiyane-Brown has recently come to Gold Hill Associates as a member of the Presidents Academy Executive Committee (AACC), the Washington Association of Community and Technical Colleges (WACTC), and the National Asian Pacific Islander Council. 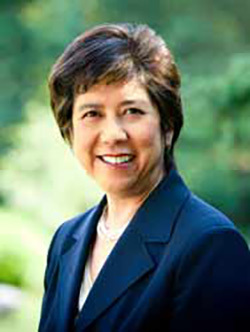 She has also served as a member of the Association of Community College and Board of Directors.Currently, Dr. Hiyane-Brown serves as President of Whatcom Community College, Bellingham, Washington. Prior to this position, Dr. Hiyane-Brown has served as president of Normandale Community College and vice-president for academic and student affairs at Tacoma Community College. Dr. Katherine Hiyane-Brown brings a wealth of experience and knowledge in areas of budget development, curriculum development, international and distance education.Dr. Katherine Hiyane-Brown received a bachelor degree in Anthropology form Grinnell College, a Master’s degree from the University of Iowan and holds a doctorate from Oregon State University in Community College Leadership. 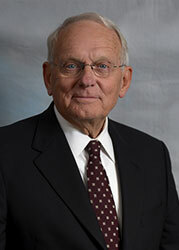 Dr. Dennis Michaelis retired after 21 years as President of McLennan Community College in Waco, Texas. He had previously served as President of Lake Region Community College in North Dakota and Paris Junior College in Texas. Since retiring, Dr. Michaelis has served as Interim Chancellor at St. Louis Community College, Interim Chancellor at Baton Rouge Community College, and Interim President of Southeast Kentucky Community and Technical College. He received his Bachelor’s degree at the University of Kansas, his Master’s in English at Fort Hays State University in Kansas, and his Ph.D. at Kansas State University. 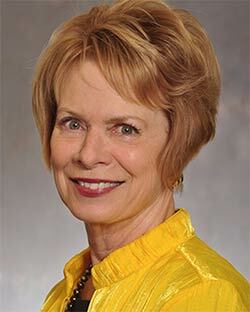 Dr. Alice Marie Jacobs, President Emerita of Danville Area Community College, Illinois recently retired after serving 17 successful years as president of DACC. In addition to two community college presidencies in Illinois, her career included community college faculty and administrative positions in Michigan and administrative positions in Minnesota and North Carolina. Dr. Jacobs has served as a member of the American Association of Community Colleges Board Executive Committee, the AACC Presidents’ Academy Executive Committee, and president of the Illinois Community College Presidents Council. She currently serves as a member of the Illinois Board of Higher Education and as a commissioner for the Midwest Higher Education Compact. Dr. Jacobs received an AA from Louisburg College, North Carolina and a BS and MA from Western Michigan University and a Ph.D. from Michigan State University.